The closed Columbia Supermarket sits shuttered on Thursday, March 21, 2019. The defunct store is one of two sites being considered, and argued over, for possible renovation into a vocational center for western and central Washington County high school students. Despite a tense, three-hour meeting Thursday night, a group of school districts in western and central Washington County still cannot agree on which property they should acquire and renovate into a high school vocational center. The districts risk losing a $2 million state grant if they cannot agree by the end of March. Members of the Machias School Committee told other area school officials Thursday that they want more time to think about it. They said they plan to meet Monday and expect to make up their minds by that evening. If the districts do not agree on a site by next weekend, the state Department of Education will revoke a $2 million grant it has conditionally awarded the group to purchase and renovate an existing building into a vocational center. Education programs at the site likely would include include welding, heavy equipment maintenance, automotive repair and early childhood development. The new center would double the array of vocational offerings in a county that had the highest unemployment rate in Maine in February and the highest poverty rate. Some students travel as far as Ellsworth and Bucksport for vocational offerings that would be available in Washington County at the new center. “We’re not going to make a decision tonight,” Teresa Saddler, a member of Machias’ school committee, told roughly 100 people who had gathered in the gymnasium of Narraguagus High School in Harrington. Approximately 30 school officials from area towns were at the meeting to try to reach a consensus while the other 70 or so were residents who attended to observe the discussion and, at times, to urge the school officials to pick a site. Three of the school entities — SAD 37, Moosabec CSD and Cherryfield — each have publicly identified the former Columbia Supermarket in the Four Corners neighborhood on Route 1 as their preferred choice. Member towns of SAD 37 include Addison, Columbia, Columbia Falls, Harrington and Milbridge, while Moosabec CSD comprises Beals and Jonesport. 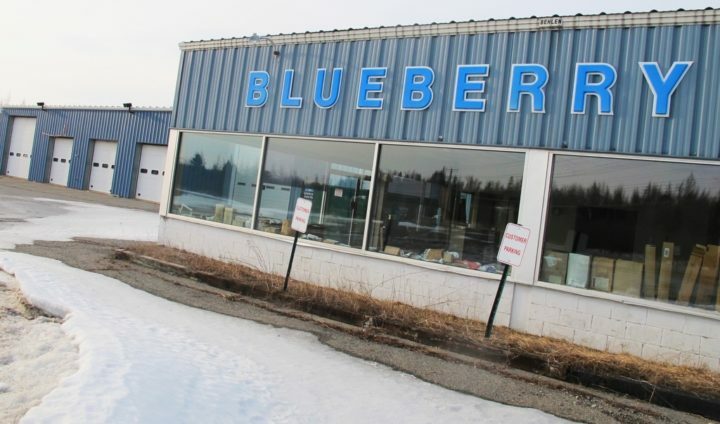 The closed Blueberry Ford dealership sits shuttered on Thursday, March 21, 2019. The defunct dealership is one of two sites being considered, and argued over, for possible renovation into a vocational center for western and central Washington County high school students. 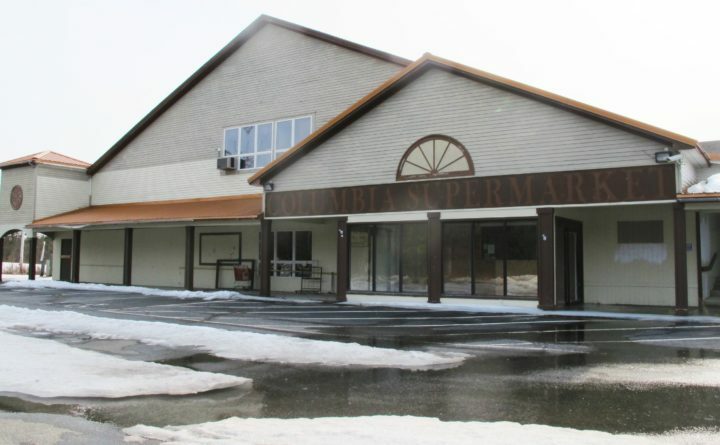 Washington Academy, a private high school that would be a partner in the facility, has expressed support for the former Blueberry Ford car dealership in Machias, but has said it will not be the lone holdout for that property and will go along with the defunct supermarket site if the other school districts choose it. Members of the Machias School Committee seem more committed to the Blueberry Ford site, and took the most heat Thursday from people concerned that the districts will squander the funding opportunity. “Until last Monday, we never saw one school board member from Machias [to discuss the matter]. Not one,” Everett Grant, a board member with SAD 37, said in a testy exchange with Machias schools Superintendent Scott Porter. “My group disagrees on the facility, and I think we have a right to do that,” Porter replied. Saddler was the most vocal among the Machias school board members in her opposition to the supermarket site in Columbia. She said she is not opposed to Machias students traveling half an hour west for vocational programs. It’s the building she doesn’t like. Officials with the school districts heard details about the two sites when they met March 11 with Lyndon Keck, a Portland architect who was hired to evaluate potential properties that could be converted into vocational learning centers. Armed only with the $2 million grant, the districts cannot afford to build a new facility from scratch. Keck said last week that out of more than a dozen sites he looked at, the defunct Ford dealership scored highest in his evaluation, but that the supermarket site was a close second. Neither one is ideal, he said, but each could function for about 12 to 15 years as an area vocational education center while the districts apply for state funding for a permanent facility that would last several decades. The Machias site would cost more to acquire but less to renovate, while the Columbia site could be purchased for less but would require more renovations. In the end, each would cost about $1 million to buy and convert into a useable facility, with the Columbia site projected to cost about $40,000 less overall. If the districts don’t agree and they lose the grant, it would be a painful repeat for many of what happened more than a decade ago, when several districts had picked a location in Jonesboro for a career and technical education center. That project and the associated state funding were scrapped amid the contentious statewide school district consolidation debate after the districts could not agree on what kind of educational programs should be offered at the site. Multiple times during the meeting Thursday, area residents spoke up and urged the gathered school officials to agree on a site. Alexis Fletcher, a student at Narraguagus, said the lack of a consensus will have long-term consequences for area students.